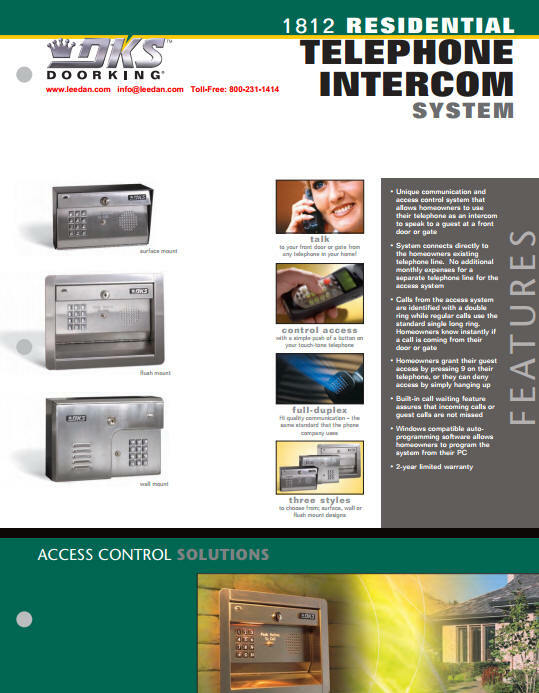 The model 1812 is a unique telephone intercom system that allows homeowners to use their telephone as an intercom to speak to a guest at a front door or gate without the necessity to pay for an additional telephone line at their home. 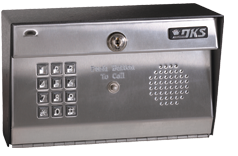 With its "intercom mode" programming feature, the 1812 can also be connected to a PBX or KSU type system, making it ideal for small businesses to control access through a single door or gate. Visitors are easily identified by voice communication and can be granted or denied access directly from a touch-tone telephone. The 1812 is available in surface, wall and flush mount designs.